beautiful smile to replace worn, ageing, and broken down smiles. Dr Harris provides a ‘Trial Smile’ service our clients love. You will have a new smile to try out and see if you like the shape, colour and appearance before we make the ‘real’ thing in permanent material. The temporary “mock up” will show you what’s possible and you can leave wearing it or with a photograph to show your friends and family. There are a range of techniques and materials to suit any budget, and the key to a Smile Makeover is creating a beautiful but natural look that suits your individual face shape. Dr Karen Harris can expertly advise you on all the options and give you back the feedom to smile and laugh. With our modern technology and personalised touches, we pride ourselves on delivering exceptional customer satisfaction. 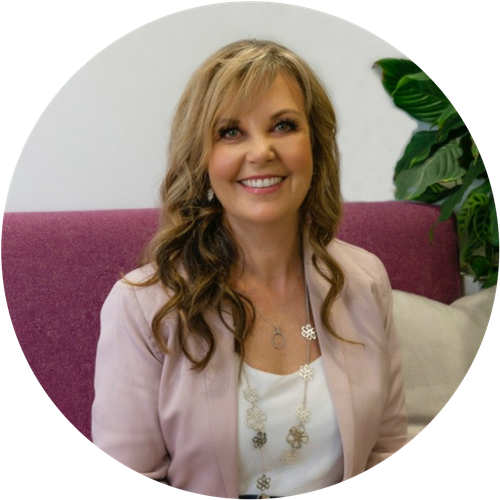 Dr Karen Harris is passionate about creating the best ‘new’ smile possible and with 30+ years delivering this sevice, she has the right know-how and creative ability to get it right. Using digital CEREC technology we can deliver veneers and crowns in a single visit appointment saving you time, money and stress of wearing temporaries that may come off. This may be a mix of modern orthodontic treatments and veneers, or simply building up composite filling material to create new shape and colour of your teeth. We have solutions for every budget and lifestyle. Dr Karen Harris is certified to deliver Botox to help with tired looking frown lines, crows feet, lined lips and gummy smiles. These fillers help to lift your face and smile and give a more youthful appearance. We also treat patients that suffer from heavy grinding by large masseter muscles with injections of BOTOX to relax the muscles. Talk to us about Facial Aesthietics today and see how we can help you look and feel more youthful.